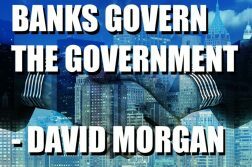 The following video is meant to provoke some thinking in the establishment regarding financial planning. Many investors that are fortunate enough to save choose to get help investing their money because they do not want the responsibility and subtly have someone to blame if things go wrong. For years I have approached the Financial Planning Industry only to be given the short shrift, which means even if some planners know how crucial gold is to properly diversify a portfolio almost all in the industry totally ignore gold entirely. This video provides some insights into why and how much gold is required. Further the World Gold Council has become active in this awareness campaign. Let me ask for your help. If you currently have a Financial Planner and they do not have you weighted properly in gold, please ask them why? Further, anyone sincerely interested in their financial future please consider posting this video to your social media, forward to those in your circle of influence and generally spread the word. Special Report: Silver Price Forecast: How high will the price of silver be this year? How about next year? 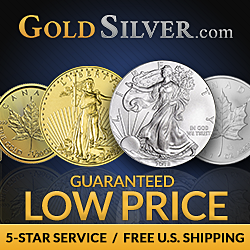 Grab Your Silver Price Forecast Free Report Right Now! 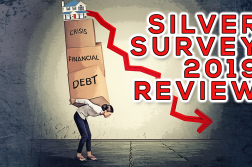 In this report you will discover Silver might surprise everybody by the end of this year. 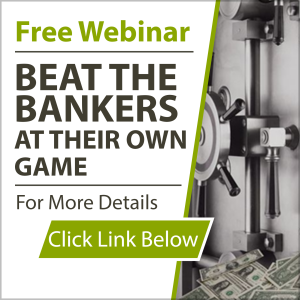 Is There A Silver Shortage Webinar: Join me in the free webinar where we’ll discuss, Is a silver deficit a silver shortage? What year did the deficit turn to a surplus? Are the above ground silver stocks increasing or decreasing How well does price track supply? Special Report: Riches In Resources: The RIR report was written by myself. Often I rely on my team to help with research and trips to various companies, annual meetings, quarterly updates, conference calls, investor seminars, and all that we do to keep our members at the cutting edge of the Wealth building/Wealth preservation sector. There is so much information in this report. So be sure to watch the movie, understand the times we are living in, and please share with your friends, family, social media or anyone that you care about. These times are changing rapidly. 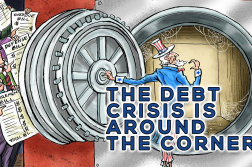 Because there is a 100% failure rate of ALL fiat money throughout history, you will learn what to do by obtaining our Free Reports. Just enter your first name, your primary email address and click the Get Special Report button below. Are you prepared for what lies ahead? Our Free E-Letter will keep YOU in the top 3% of the Informed, the Awake, and the Aware.